Tightening sinew while lashing and sewing can do some damage to your fingers and hands if they get rubbed too hard. While we usually get creative with athletic tape (once a rock climber, always a rock climber), we have recently recommended students bring a pair of fingerless gloves to save their hands. 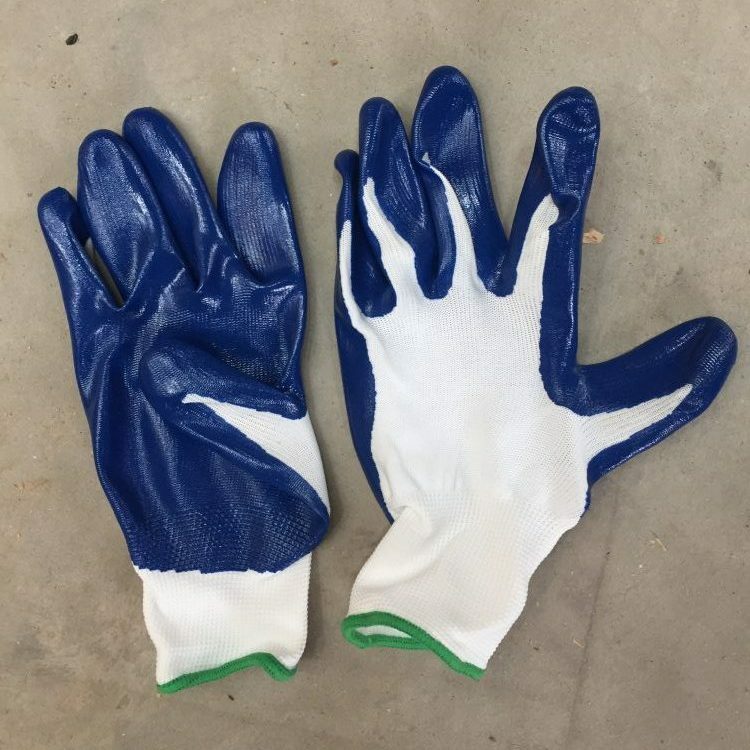 Basic gardening gloves are thinner than standard work gloves and allow your hands more dexterity when handling small things like needles. The latex or nitrile coating protects your fingers while tightening string or sinew. 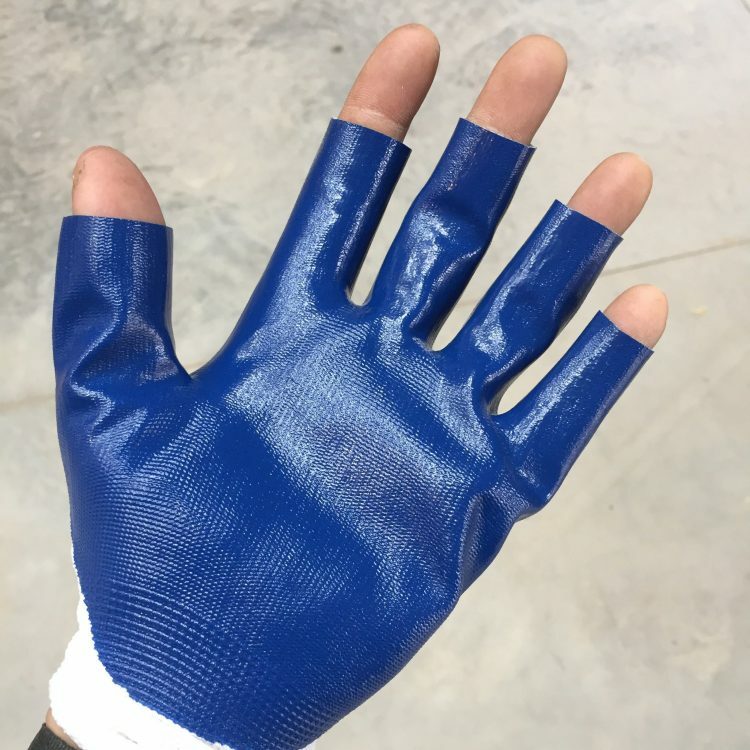 What’s more, snipping the tips off a pair of basic latex coated gloves costs a fraction of pre-made fingerless work gloves. Hard to say no to a solution that is both better and cheaper! With gloves on, mark your first knuckle (closest to the fingertip) with a sharpie. Using sharp scissors, snip each tip at the mark. Et voilà!